Have you ever attempted a WoW cooking recipe IRL? Have you found someone else’s recipe and tried to follow it? There have been folks that have used their own Unidentified Cooking Utensils to produced recipes and some have worked better than others. Share yours! Or perhaps you can follow a recipe. but not create one and there is this fascinating recipe that you need created for you by someone with the right skills? The reverse might also be a consideration: What IRL foods are missing in Azeroth? Before I post pictures and the recipe, you have to promise not to laugh at how terrible it looks. When you have an oven that isn’t leveled, cake pans that aren’t actually cake pans because the real ones are in storage, and all your decorating tools are in storage…you get a cake that looks like the one I’m about to share. 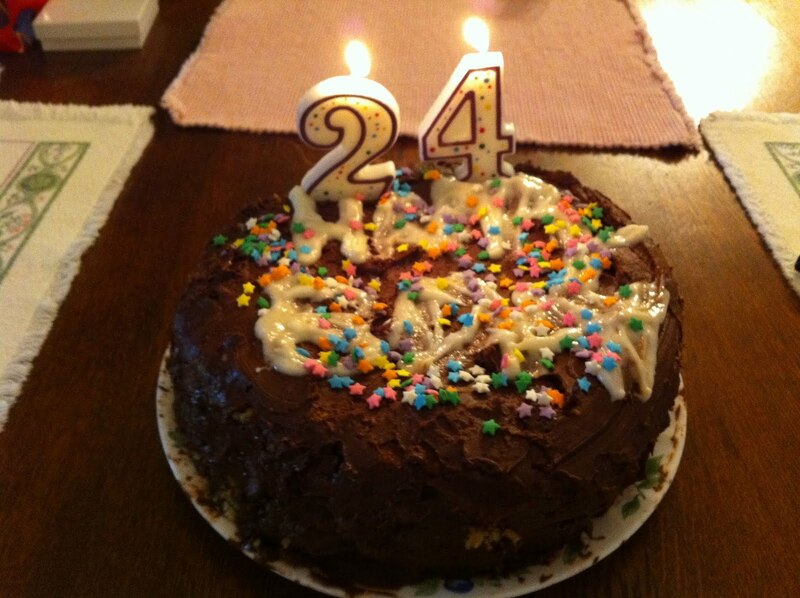 Now, while my particular cake doesn’t look all that pretty, it’s REALLY tasty and rich and yummy and worth it. 😀 Besides, I’m sure yours will look prettier. 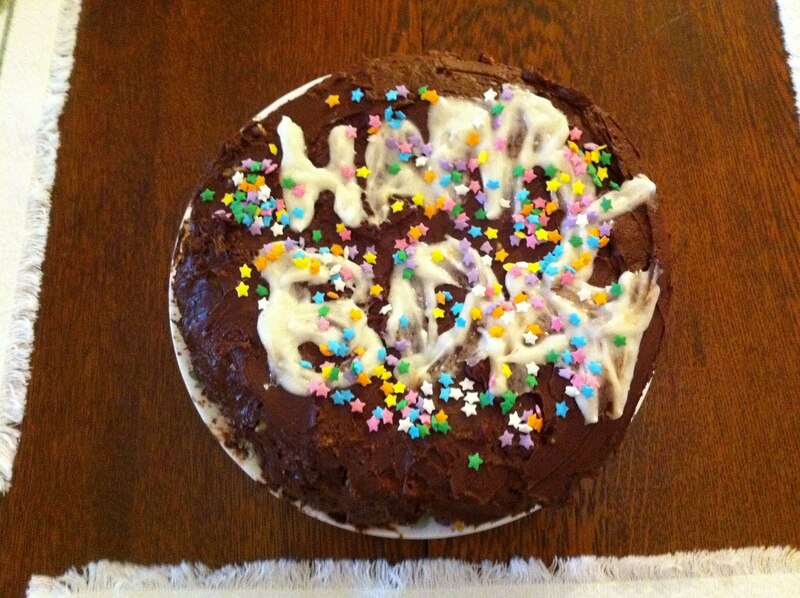 First, I made the frosting. 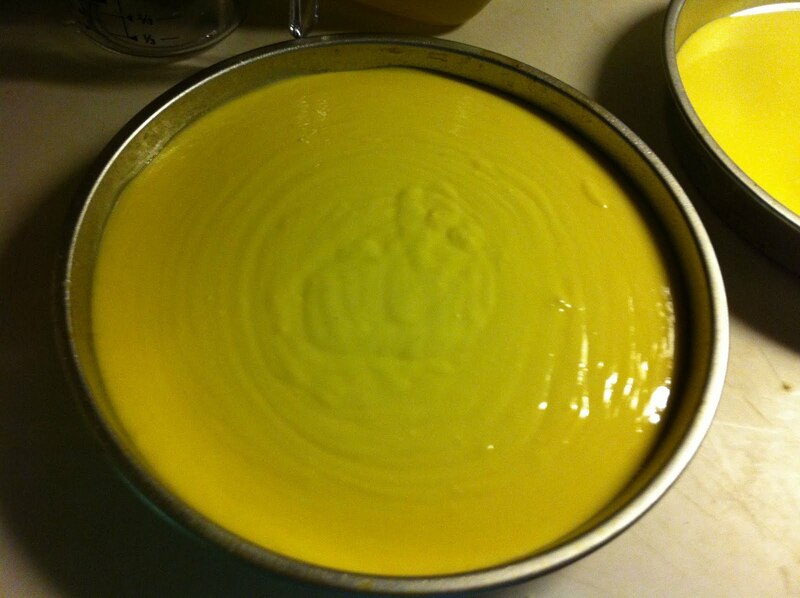 In large bowl, cream shortening and butter. Add cocoa and vanilla. Gradually add sugar, one cup at a time, mixing well. Scrape sides and bottom of bowl often. Add milk and mix until light and fluffy. Keep bowl covered with a damp cloth until ready to use. For best results, keep bowl in refrigerator when not in use. Refrigerated in an airtight container, this icing can be stored 2 weeks, or frozen for longer. Rewhip before using. Just a note that the amount of milk it calls for can differ based on the consistency you want your frosting, or if it needs to be rewhipped, etc. For normal buttercream frosting, you’ll want to take out the cocoa and cut the milk in half, about. Next, make the cake according to the package directions. If you’re new to cake making, make sure that you ONLY FILL THE PANS ABOUT 3/4 FULL!!!! That way the cakes can expand as they cook. Otherwise they’ll overflow (they’ll do that regardless if your oven isn’t leveled… grumble) and cause a huge mess you’ll want to clean up ASAP or your kitchen will taste like burning. Also, make sure to spray your cake pans with cooking spray thoroughly before baking, and dust with flour if you don’t have baking spray with flour in it. Before you frost and decorate your cake, make sure the cakes have cooled completely. Then… have fun making your Delicious Chocolate Cake! Haha! I love it! The best thing about cake is its CAKE! No one cares what it looks like, cut me a slice. 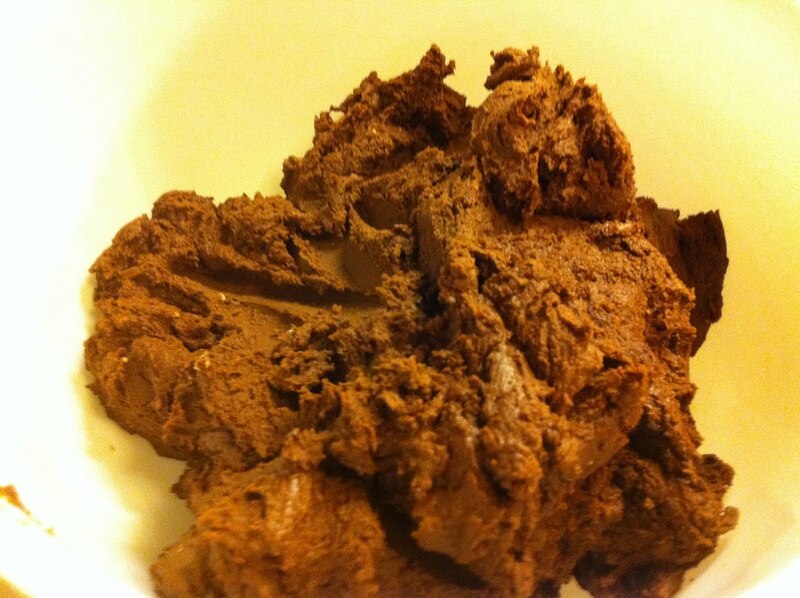 I know i made chocolate truffles once and they were delicious….they however looked like tiny piles of poo. I took them to a party regardless. I took some ribbing for bringing poop to a party but they ate all of them.